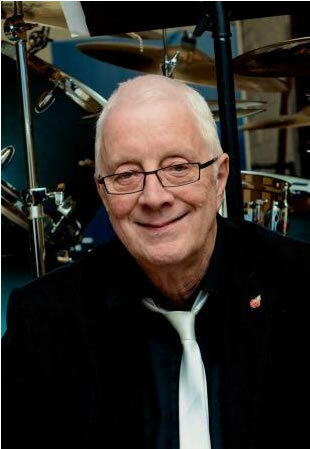 IT IS WITH GREAT SADNESS THAT WE HAVE TO ANNOUNCE THAT PETER, MUSIC ARRANGER AND FOUNDER OF HOTSHOTS MUSIC, PASSED AWAY LAST YEAR AFTER AN 18 MONTH BATTLE WITH CANCER. AS A FAMILY WE CONTINUE TO FULFIL ORDERS FROM THE EXISTING CATALOGUE AND ENDEAVOUR TO MAINTAIN PETER’S HIGH STANDARDS OF SERVICE, HOWEVER, WE ARE NO LONGER ABLE TO FULFIL ANY BESPOKE REQUESTS. Sheet Music for bands delivered in pdf format via email, charts, arrangements for combos and bigbands. Hotshots Music provides a service to bands, singers, cabaret artists and musical directors worldwide, supplying professional quality arrangements, and backing tracks of the songs most bands play and receive requests for, including Rat Pack, Soul, Latin, Swing and Pop Music, all at an exceptionally cost effective price. This is only possible because all of our music products are delivered in PDF format via email thereby avoiding printing and mailing costs. All our arrangements come with a Midi file to give an indication of performance and to function as a basic backing track, a lead vocal text guide together with the actual score in concert pitch and transposed instrumental parts. All Hotshots music is produced with permission and appropriate royalties paid. Charts have been produced to the radio or single release version unless stated, so please check that this is the version you require. People often contact us saying the files they received are empty. They are not but will appear to be if you try to open on a smart phone or tablet. You will need a PC/Mac or laptop to access the pdfs and mp3s.